I'm sure it will not surprise you to learn that there are more than 1,250 golf courses in Florida, more than in any other state, and there are at least 100 major hotels and resorts to serve them. Many of Florida's Top Golf Courses and Resorts are ranked among the best in the world, most maintained to championship standards. From Pensacola to Jacksonville & Ponte Vedra in the north, to Miami & West Palm Beach in the southeast, and from Naples and the southeast Gulf Coast, to Destin and Fort Walton Beach on the northern Gulf Coast, each location offers a unique opportunity to stay and play the year round. Florida is, after all, the Sunshine State. To date, I listed and reviewed more than 350 of Florida's top golf courses and resorts; resorts such as Doral Golf Resort & Spa, the PGA National Resort & Spa and, of course, Sawgrass Resort & Spa. Golf resorts such as these are miniature worlds where the focus is not just upon the sport around which they were created, but on providing a "total family adventure." Florida is home to the PGA Tour, Champions Tour, LPGA, PGA of America, World Golf Hall of Fame and more professional golfers than any other state. The Tournament Players Club is at Sawgrass; the PGA National is at Palm Beach Gardens; the LPGA International is at Daytona Beach. So, Florida really is the center of professional golf in the United States. 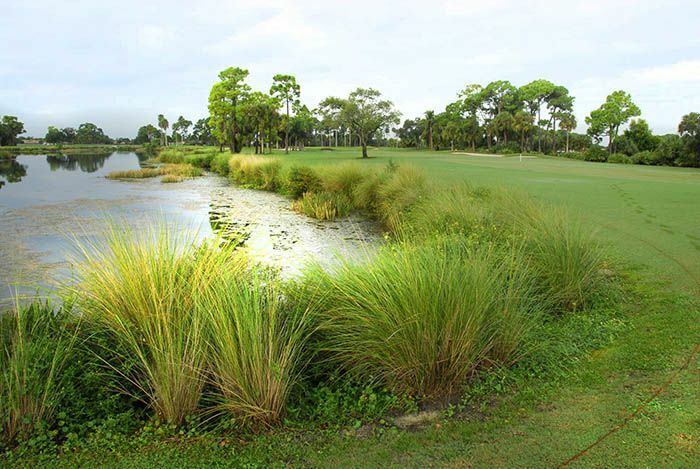 A Florida golf vacation offers something for everyone - there are no golf widows here. For the kids there are the great theme parks; for the ladies there are hundreds of spas of international repute; for the entire family there are Florida's World Famous Beaches. Then there are the attractions, shopping, dining and entertainment. Whatever the occasion - a business convention, a group outing for golfers or the family vacation - and no matter where you stay, there's always a great course nearby and plenty to see and do for everyone else. Florida has it all! [There are four major air terminals that put all of Florida's great courses within easy reach: Miami, Orlando, Jacksonville and Pensacola. There are, of course, more than a dozen regional airports serving the state. These include, Fort Walton Beach, Sarasota, Fort Lauderdale, Tampa St. Petersburg and others. So that's it then... but maybe Florida is not for you. If so, here are a few more ideas you might like to consider when planning for your golf getaway. These are some of my own personal favorites: Scotland is always a great option, and so is the great American Southwest, or Bermuda, maybe the Bahamas, and there are great golf courses and resort located all over the Caribbean and Mexico and many more.